While the number of Americans employed is still trying to get back to pre-recession levels, the way people work, where they work and how they work or otherwise earn a living has changed significantly over the last five years and will continue to evolve moving forward, according to one employment expert. 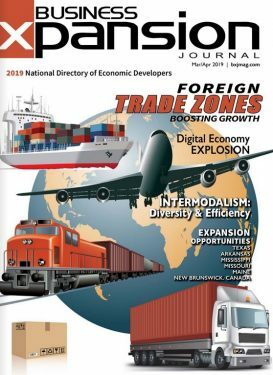 In its annual Labor Day outlook, global outplacement and coaching consultancy Challenger, Gray & Christmas, Inc., provides insight into some of the employment trends that have taken shape since the end of the recession along with some that could emerge during the next five years to 10 years. “The recession saw more than 8.7 million jobs disappear from the nation’s payrolls. After five years of recovery, the economy is still about two million jobs short of the pre-recession employment level. The depth of the recession and the slow crawl back to a full recovery forced many Americans to become more flexible and more creative when it comes to finding a job, earning income, etc. During this time, employers also had to become more flexible and creative in order to simply stay afloat during the downturn,” says John A. Challenger, CEO, Challenger, Gray & Christmas. “As a result, we have seen some interesting trends emerge, including the rise of the sharing economy, resume-less recruitment, and social media as a job-search power house,” he notes. “We have also seen a significant change in the way companies use contingent workers, as well as the way contingent workers manage their careers. Going forward, emerging trends will be driven by technology, the aging workforce and labor shortages, but the lingering memory of the Great Recession also will continue to have an impact on how future trends evolve. It is estimated that one in three Americans are considered contingent workers, meaning they work for organizations on a non-permanent basis as freelancers, independent professionals, contractors, consultants, temporary workers, etc. By 2020, some forecasts have the portion of contingent workers rising to 50 percent of the American labor force. Driving the growth is employers’ need to be increasingly flexible and agile when it comes to meeting the ups and downs of demand in a volatile global economy. As Corporate America’s use of contingent workers evolved, so has the definition of contingent worker. These are no longer the replacement workers populating the “temp pool,” who patiently wait to fill in for an absent employee. These are highly skilled, tech-savvy experts in their field, who are making their own opportunities and creating demand for their talents among companies that require specialized professionals who can solve problems, lead projects, provide extra manpower and brain power when needed. Once thought of as being the avenue of last resort for those who could not find traditional, full-time, permanent employment, contingency employment is a career path pursued by choice, as it provides more flexibility, better work/life balance, and a wider variety of work situations and challenges. In response to rising technology costs, as well as increased personal preference when it comes to personal computing devices, some companies are already enacting bring your own devices programs and more are expected to do so in the future. A recent report from technology consulting firm Gartner estimates that by 2017 as many as 50 percent of companies around the world will no longer provide computing devices to employees, requiring them to purchase their own equipment. While some workers will not have a choice, the report forecasts that 40 percent will have a choice between BYOD and employer-provided devices. The falling cost of personal and portable technology, not to mention, the increased loyalty individuals maintain toward certain technology brands and operating systems, could mean that, even when given the choice between buying it yourself or having the company provide it, more and more employees will opt to buy their own tech tools. Companies will still incur some costs, though, as employees demand to be reimbursed for the use of their personal technology for work purposes, just as they would be for mileage and travel expenses. Some companies may provide an annual or biennial allowance for technology. This could cover the entire cost for some employees. Those who want the latest, fastest and most expensive tech devices will have to chip in more of their own money. Resumes have never been an effective tool in finding a job. No one has ever been hired based solely on the content of the resume. The resume is, however, very effective in getting one eliminated from the job candidate pool. If you don’t have the right skills, experience, or even keywords, your resume will quickly find its way to the discard pile. A single typo is typically reason enough to eliminate someone from consideration for the overworked human resources professional attempting to select a handful of candidates to bring in for interviews from the hundreds who apply. Certainly, in the age of LinkedIn, resumes have become somewhat passé. More and more companies are finally starting to realize that resumes are a complete waste of time and are eliminating them from the recruiting process, entirely. Many candidates inflate, if not outright fabricate information about their skills and experience on the resume. Even for resumes, that are accurate, they are rarely an indicator of how one will do on the job. As a result, a growing number of companies are relying on a combination of factors to identify potential recruits, including LinkedIn, video profiles and online tests. Employers have even grown skeptical of college credentials. In response, seniors at about 200 colleges will complete the Collegiate Learning Assessment. Consider it a post-graduation SAT that will give employers a much clearer idea of the skills and abilities graduates obtained in school. A combination of factors, including the rapid growth and popularity of social media, the ubiquitousness of smartphones and a recession that forced individuals to find new and creative ways to earn income, led to rise of the sharing economy. Serving as an early model, HomeAway.com was founded in 2005 as an online marketplace for vacation homeowners to find renters. AirBnB took the idea to the next level, by allowing any homeowner to advertise the availability of an entire house, a room, or even just a couch to those seeking a place to stay, often while the homeowner remained in residence. Sharing or renting space expanded to other unused or available assets, such as cars, bicycles, children’s clothes, etc. A ride-sharing service called Lyft, launched in San Francisco in 2012 and has since expanded to Los Angeles, Seattle and Chicago. Using a smartphone app, folks needing a ride can call a driver, who uses his or her own car to provide the transportation. The Lyft app suggests how much the rider should pay, but the person can choose to donate more or less. This and other sharing services are not likely to boost one’s income enough offset the need for employment, but it could help bridge the gap during employment transitions and/or allow individuals to set aside extra rainy-day savings. Such services also reduce waste, lower costs for consumers and increases marketplace efficiency. Plus, you never know who you might give a ride to or have sleeping on your couch. It could be the founder of the next Facebook or Google, and that connection could prove to be beneficial one day. While Yahoo! recently ended its telecommuting initiatives in an effort to refocus its workforce on reviving the struggling Internet company, more and more companies are expanding the use of remote workers. A desire to cut real estate costs, a need for talented workers regardless of where they live, and the increased use of contingent workers, are all helping to move workers out of traditional offices spaces and into remote locations. These non-traditional spaces may be home offices, coffee shops, shared offices or one’s car. Even companies with traditional office space may have certain employees who come in a couple of times a week and simply take the first available workspace. The positive aspects of these remote workers are numerous for both employer and employee, but, as Yahoo! learned the hard way, it can be a challenge to manage a large telecommuting workforce. Without clearly defined and measurable expectations and objectives, it is easy for the arrangement to fail. One trend that has emerged from changes in the way we work, where we work and how we work is the creation of a new job category: human factor engineer. These professionals specialize in maximizing efficiency, health, cost, quality, etc., with varied education backgrounds, including psychology, engineering and technology, design, sociology, administration and management.